The Galahad update introduced brand new equipment for gatherers. But what exactly does this gear do? Find out here! Gathering might not be commonly associated with combat or gear, but it does require players to go into the open world and face its inherent dangers. 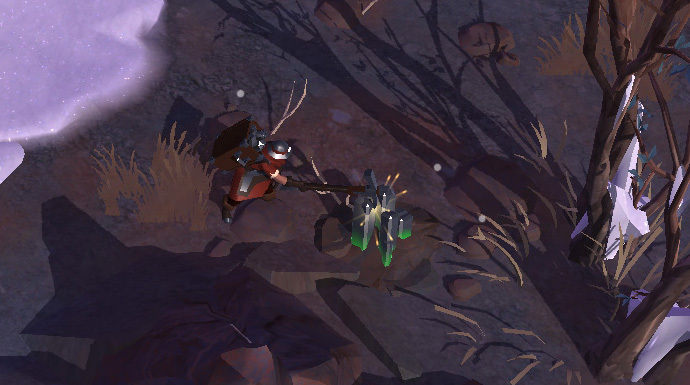 This is why each gathering profession (Harvester, Lumberjack, Miner, Quarrier and Skinner) now has its own equipment with a number of spells to help them with their profession. On top of that, their visual appearance will get an update in the future, making them even more unique and beautiful! Each set consists of four items: a Cap, Garb, Workboots and Backpack. These items are unlocked through the gatherer line on the Destiny Board. 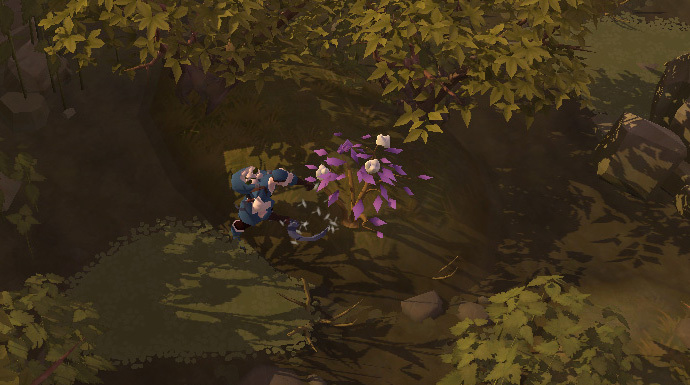 For example: to unlock the Tier 5 Lumberjack set you will need to unlock the Expert (Tier 5) Lumberjack node. The gear of course also needs to be crafted, which can be done by Toolmakers. The Cap, Garb and Workboots are found under the Armor tab and Backpacks under the Accessories tab. The Backpack, which goes into the cape slot, has a passive ability which reduces the weight of its respective resource by a smashing 50%. You will be able to carry more resources than ever before! 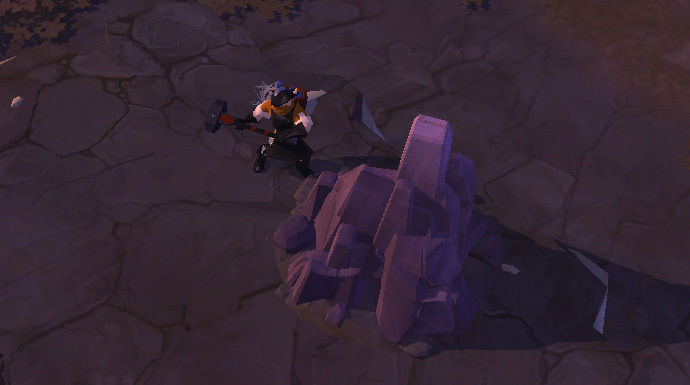 The Cap, Garb and Workboots each have one passive spell that increases gathering yield for their respective resource. This means you will have more chance to get extra resources while you are out gathering and have your gatherer gear equipped. The bonus gathering yield increases with every Tier. Let’s have a look at the different gatherer equipment sets and their unique spells! If you are collecting Fiber, the Harvester set is the one for you! Throw out magic pollen which will confuse all enemies around you, making them walk around randomly. Using this spell will also turn you invisible. This invisibility breaks if you receive damage or if you damage someone else. Apply a shield to yourself, which absorbs damage and lasts for several seconds. As long as the shield is active, your gathering speed is increased. If the shield gets prematurely destroyed it explodes, rooting and dealing damage to all enemies around you. Dash towards a target location. During the dash, you are invisible and immune to forced knockback effects. After you arrive at the targeted position, your move speed and maximum load are increased for several seconds. Focus on chopping down trees for precious Wood more efficiently with the Lumberjack set! Throw out tree trunks behind you. Every enemy hit will be knocked away. Apply a purging shield on yourself, increasing your gathering speed and resistance for several seconds. While the shield is active, enemies lose all positive status effects whenever they damage you. Create a shield on yourself that can absorb damage and lasts for several seconds. While the shield is up, your movement speed and maximum load are increased. Attacking someone will remove the shield from you. Spend all your time mining Ore? Get yourself some Miner equipment! Remove any movement-impairing effects and make yourself immune to movement-impairing effects for several seconds. This spell does not make you immune to forced movement effects, such as knockbacks. A wind shield surrounds you for several seconds. Every time you receive damage, enemies around you will be knocked back. Additionally, your gathering speed and armor and magic resistances are increased. Increase your movement speed and maximum load. After activation, you cannot cast spells or attack for a little while. Those wielding a strong hammer to gather Stone will be able to make good use of the Quarrier set. Increase your crowd control resistance for several seconds. Enemies who damage you are slowed (this slow effect stacks up to nine times). Increase your gathering speed for several seconds. Your resistances increase every second (this increase stacks up to ten times). Increase your movement speed and maximum load for several seconds. Every time you take damage, your movement speed is further increased (this increase stacks up to 5 times). If it is Hide you are after, get yourself a Skinner set to get that extra edge over the wildlife waiting for you to face them. Place a bear trap under your feet. The first enemy that walks over the trap is slowed and takes damage over time. Additionally, it reduces the resistances of hide animals. For the next 40 seconds, all your normal attacks will poison hide animals and deal additional damage over time. This poison does not deal damage to other targets. Additionally, you will receive a shield that increases your resistances and heals you over time. Increase your movement speed and maximum load for several seconds. After activation, you cannot cast spells or attack for a little while. 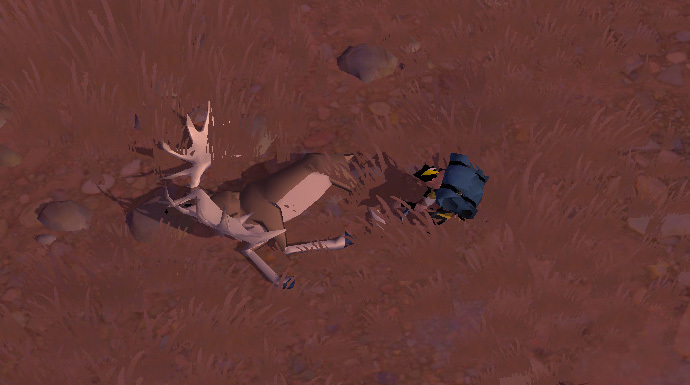 Creatures will avoid attacking you for the entire duration. 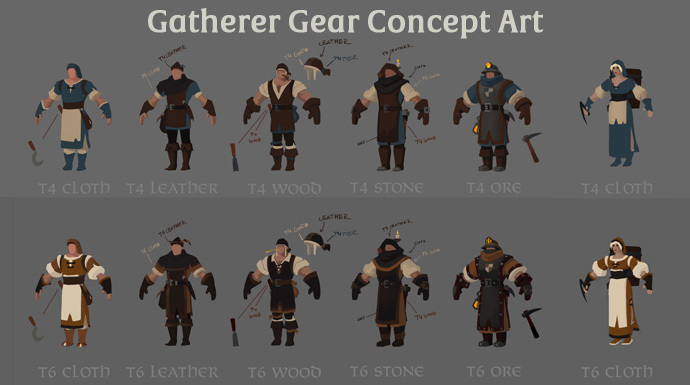 What do you think of the gatherer sets? Which spell is your favorite? Let us know your thoughts and feedback in the comments below or on our forums!